For those who know me off the internet, coffee is my world. Having coffee in the morning is the first step to having a good day, and nothing is worse than the realization that there is no coffee in the house. Of course, part of what makes my morning even better is trying out different specialty coffees, some of which I have discovered thru blogging or experimenting at our local grocery stores. Recently, however, I have began to suspect that my coffee pot wasn’t giving me the best coffee experience, making me think that it may be time to replace my old coffee pot. You see, our coffee pot was a backup anyways, since our Gevalia coffee pot died. For some reason, my $20 coffee pot from when we used to live in an apartment just wasn’t cutting it – leading to an all-out search for the holy grail of coffee pots. While I am firm believer in high quality, I am also a bargain shopper. I refuse to pay full price for most items. Once I find what I want, I try to find the best deal and go from there. As I was looking for some new kitchen items as well, a good friend of mine suggested that I check out BuyDig.com since they always have great deals. Even though I had seen BuyDig.com featured on other blogs, I had never really thought of checking them out. With the help of a rep from BuyDig.com, I found what the ideal coffee pot for us – the Cuisinart Fully Automatic Burr Grind & Brew. Cuisinart Fully Automatic Burr Grind & Brew: What Is It? Looking for a brand new, programmable coffee pot without taking up space in your kitchen? 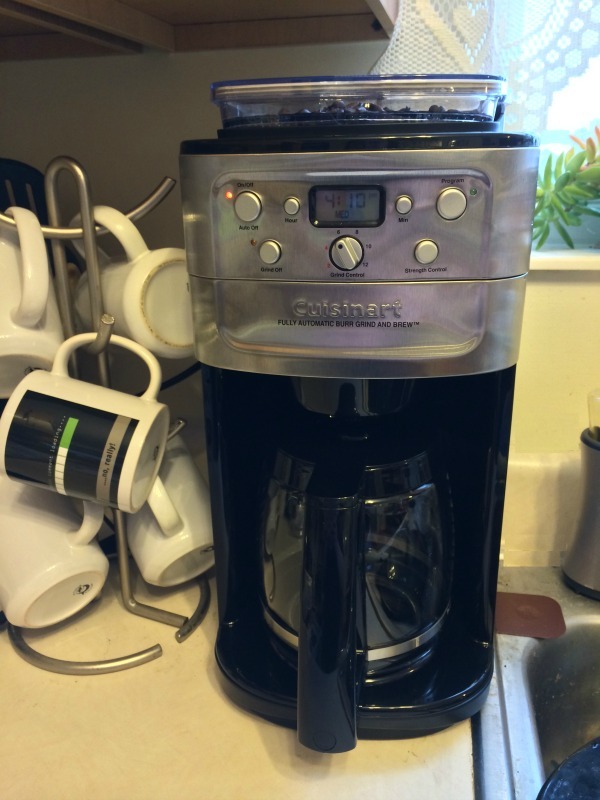 If so, we are happy to introduce you to the Cuisinart Fully Automatic Burr Grind & Brew coffee pot. With a built-in burr coffee grinder, you are able to keep the full integrity of your coffee beans, giving you the best flavor and coffee experience possible. Your coffee also stays good as long as possible in the tightly sealing bean hopper which holds up to a half-pound of coffee, clearing up counter space by giving your coffee a home and no longer requiring a separate coffee grinder. To make your coffee experience even better, Cuisinart also includes a gold tone permanent filter, and a charcoal water filter. With great features like brewing pause, coffee strength selection with a single button press, and an easy cup selector so you can brew just the right amount of coffee, you truly have the best coffee experience possible with the Cuisinart Fully Automatic Burr Grind & Brew. When I went to BuyDig.com to look for a new coffee pot, my hope was to find a better quality coffee pot that would also allow me to reclaim some room in my kitchen. You see, my old coffee pot was cheap, ugly, and bulky, something that didn’t go well with my small but chic kitchen. When I saw the Cuisinart Fully Automatic Burr Grind & Brew, I was pretty certain I was in love since it was not only compact, but had built-in, quality coffee grinder. This meant that my Cuisinart coffee grinder could go up in a cabinet or away in a box, rather than taking up valuable kitchen counter space! Of course, the best of the Cuisinart Fully Automatic Burr Grind & Brew was that it was extremely easy to program and make coffee. With so many bells and whistles, I was a bit intimidated by this coffee pot (especially when I saw it came with a DVD). Luckily, it really was as easy as 1-2-3 to program and make coffee. While it is a bit noisy (it has built in grinder, not too shocking), it does make brewing coffee a fun experience for everyone involved. Also, I want to add that the pause feature in the middle of brewing works perfectly and I use this just about every morning, allowing me to get coffee BEFORE the pot finishes brewing. Over the years, I have owned quite a few coffee makers but none have impressed me as much as the Cuisinart Fully Automatic Burr Grind & Brew. This Cuisinart coffee pot makes the best coffee I have tasted in my life, hands down. I have ground my own whole bean coffee and made sure to buy quality coffee for a long time, but this coffee pot bring drinking coffee to an entire new level. Never in my life had I paid more than $20 – $50 for a coffee pot, but after this experience, I understand why it can be worth the money – since it arrived, we have had a truly wonderful coffee drinking experience. Based on my own experience of using this coffee pot and how much counter space it allowed me to reclaim in my kitchen, I am happy to give the Cuisinart Fully Automatic Burr Grind & Brew an A+ rating. While you can purchase the Cuisinart Fully Automatic Burr Grind & Brew from other sites, I highly recommend purchasing this high end coffee pot from BuyDig.com. Why BuyDig? Well, for one they are selling this coffee pot for $135.95, which is over $160 off the suggested retail price of Cuisinart of $305. As well, they have one of the fastest free shipping policies I have seen in quite a long time. My own coffee pot arrived within two days of ordering and even arrived on a Saturday via FedEx! It is rare you see such fast shipping anymore from anywhere that offering free shipping, so why not take advantage of it? As well as having an amazing free shipping policy, BuyDig.com has a flexible 45 day return policy. You don’t have to jump through hoops ordering from them, which is something I personally considering a major plus. With low prices, no built-in sales taxes (if you live outside New Jersey), and a great selection of name brand items in their Kitchen and Housewares Department, why not buy from Buydig.com? Cuisinart makes some nice looking coffee makers. I would like to have that one, but with a thermal carafe to keep the coffee warm without burning it as I drink coffee all day. I would love to own a amzing coffee machine like this my mom has a Cuisinart fully auto grind and brew she just loves it… I hope someday to have a wonderful machine that does all the things this machine does.. The grinding and brewing is my favorite on this coffee maker. I have never heard of a coffee pot that grinds coffee as well .It sounds like you hit the jack pot I am also a true coffee drinker I love a goos cup of coffee. Cant start my day without it. Thanks for the review and the give away Have a blessed day. I have always had traditonal drip coffee makers, some bad and some good. There are now some better options out there, and this Cuisinart fully auto grind and brew sounds like a good one. My mom actually has one, I'm pretty sure it's the same one, or the previous model anyway. I like it and will look into getting one of my own. I did not know that a quality brewer could make a difference in the taste ,Until I worked in a restaurant and served coffee till 2am. How noisy is it? Would it wake up a light sleeper? I have the $20 backup model at the moment (after our Gevalia died) and am definitely in the market for a new one! I have always used a paper filter and am interested to know the difference. I have never had a coffeemaker where the pause feature really worked well. Usually it just ends up splattering coffee. This looks like it would be a wonderful addition to our kitchen. 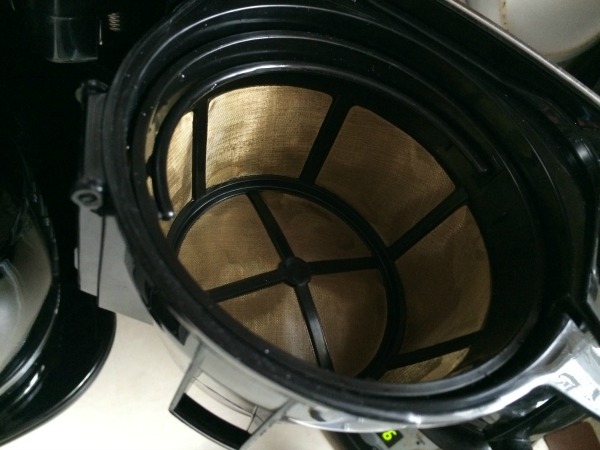 Well, a reusable filter and paper filter do give a bit of a different taste, mostly because no matter how awesome the filter is, there is still a small amount of grounds that get in the coffee. Out of all the reusable filters we have had, this is the best and usually yuo only get grounds from the very last bit of coffee in the pot. As for the noise, it can be a bit noisy for the five to ten seconds that it is grinding. Other than that, it is very quite. I don’t hear it at all from the second floor of our house, and we have very little insulation. You can hear a pin drop through our walls, unfortunatly. As for the pause feature, this was a MAJOR surprise for my husband and myself. I had never seen one that actually worked before this one either. After reading your review, it makes me want to win even more! This sounds fabulous! I dont think Ive ever had fresh ground coffee. Im sure its way better than the coffee in a can. If I dont win, then Im going to have to start saving to buy one. Just smelling the beans as they are grinding, has to be heaven. I love that this coffee maker is sleek and would fit nicely with any kitchen decor. Also having a grinder within your coffee maker is so convenient, not to mention the programable settings! I love the coffee strength selecter option. The Mister likes melt-your-spoon coffee and he's usually the one drinking it, but sometimes I like to make coffee for guests who have more tender taste buds, and this feature would come in super handy. I have recently become a pretty heavy coffee drinker, and have been looking for a great machine to give me the best brew possible. I love that this has a built-in grinder, and I really love the idea of the pause button. I agree with the other commenter about having a thermal carafe as an option, but would love it either way! Thanks for the great review! So glad I could help, Judy! I was dead set I wanted a Keurig until I used one. I was so disappointed with the taste of the coffee. To me, a lot of the pods make coffee that tastes more like instant coffee to me. after reading about this i think i would love to try one.. i might have to get one. my boyfriend and I are huge coffee drinkers, we are brewing coffee all day long, like 6-8 pots a day! i would love to have the built in coffee grinder and since i already have one with the built in filter i know i definatly need that..i hate buying coffee filters. i just never spent that much on a coffee maker, but i would definatly go for this one when i need the coffee maker, especialy because im moving and this would be great! As I said in in the review, I never had either. My old coffee grinder was a gift from my mom and our coffee pots until they got rid of the program was the gevalia get a new coffee pot every two years type of thing. I had never had a coffee pot this nice and I think I may have spoiled myself now. I had never even heard of such a thing until i was asked to review it. I have a keurig that is dying a slow death..and I have only had it for a year. This would be an awesome replacement. I love coffee and the flavor and feel this would be the perfect accessory for me! My parents have this brewer and I LOVE it! It is one of those brewers that is great for parties. It is quick and makes a great cup of coffee! Cuisinart is such a trusted name. I love the grinding and brewing function. We only brew in the morning, but that first cup needs to be good. Wow… this is one deluxe coffee maker! Like that it has a permanent filter and programable. Would love to own this machine! Such a great prize – love the quality. 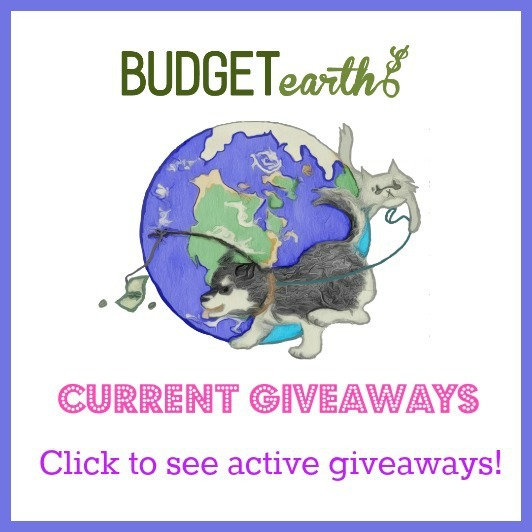 My coffee maker is on it's last legs – it would be a treat to win! I really appreciate that I do not need a seperate grinder! I enjoy a good cup of coffee.To be able to grind your beans fresh every day would be a bonus. I would love to try one. This is a quality brand. I wonder about the volume of the grinding. Even I could brew coffee with this this thing. Maybe even make some fancy lattes. Or maybe some iced coffee! Wow!!! This coffeemaker does everything but drinks it for you My coffeemaker is a thrift shop special & it leaves a lot to be desired. It leaks, doesn't keep the coffee warm, & you really never know if the coffee is going to be good or not. Because of that I've pretty much gave up on morning coffee & switched to pop in the morning. Today, it's snowing on the Ms. Gulf coast & a good, hot cup of coffee would be so nice. This coffee maker sounds wonderful. My favorite part is that you can select the strength you want you coffee and that is important to me. I've been wanting to find a coffee maker for a long time now that is better than the old style "drip" kind that you buy at Wally World for $15. I've bought the Mr. You know who brand and had them tear up in only a couple of months. I've never understood why they don't make one with a pump of some kind. I have been using a Keurig brewer for the last two years, but I would LOVE trying this. This would be great for me, esp since we often have company who want multiple cups of coffee. Thank you for this review! I'm in the market for a new coffee maker. I can't find one thing that I don't like about this coffee maker, but what I especially like is it's a space saver (I live in an apartment that has a small kitchen and little countertop space), I love coffee and I love having it first thing in the morning when I get up so I love it's programmable, I like the idea of it holding my coffee beans so I don't have to fill it up every time I make coffee and I love the cost saving of not having to buy paper filters! I love coffee and would be so happy to have this. I also appreciate the ability to grind the cooffee bean of my choice. I love that it is a grinder and brewer all in one. You can't ask for fresher coffee than that! Great review! My husband has recently been getting into drinking coffee, which has made me ponder getting a bean-grinding coffee brewer for Valentine's Day, or depending on cost, his birthday (April). I like that this can be paused mid-brew if you absolutely can't wait for a cup! Hi, I have always wondered if grinding your own beans made a big difference. Would love to find out! My Mr. Coffee is fairly wicked LOL. Thanks. Vicki. My old coffee pot was a Mr. Coffee and it always had issues. I personally love the taste of freshly ground coffee. It has much more flavor and takes a lot less coffee to make a pot if it’s fresh. I actually had one of these coffee makers, so I can fully attest to the quality of this machine. Not only does it brew a superior cup of coffee, but you also use so much less coffee than with other brewers in order to get the right strength and flavor. It is programmable, timed, and the brew strength can be set to your liking. You can also pre-grind beans and have it go off without the grinder waking you up in the morning. BuyDig's price on this coffee maker is excellent! It is worth taking advantage of such a sale price. Cuisinart makes superior products, so you will not be sorry with your purchase. I would really love to win this! I have had my cheap coffee pot for awhile now and I'm just waiting for it to break for an excuse to buy a new one. I LOVE fresh ground coffee, but do not have a grinder. That would be so awesome to have this! I love Cuisinart. My favorite is that it grinds the beans and brews the coffee. We are a house of coffee lovers and we once had a Cuisinart and we l;oved it but it got lost when we moved. Would give a arm and a leg to win this one. Than YOu for the chance!!! I love for coffee! I purchase high quality coffee beans but I just know that there has to be a better grinding and grewing system and maybe this is it! I have heard of Buydig.com but didn't know much about them; looks like I will be adding them to my list of online shops! my favorite part is that it has a built in grinder! it makes coffee taste much better when it is fresh ground. we don't have one anymore and my husband buys coffee every morning so it would be great to just make it at home. i am sure it saves money! I have the grind option in my setup but I find it never grinds my beans to the consistency that I prefer them so I still do it myself but Cuisinart coffee pots are the bees knees! The only thing I feel like this machine is missing is the thermal coffee pot… I have never loved the glass ones as much. Have you had much luck with thermal coffee pots? I always think coffee from them tastes like metal. I wants aware that the tye of machines they have at the coffee shops were now available at home! This would be great to have at home, I usually like a cup or two in the afternnon and my hubby occationaly wants one after work but never the same day, so making another pot or 1/2 a pot would be a waste. And we usually buy beans and grind them in the store, it would be great to grind and brew at the same time! Sorry, I wasn't aware that the type of machines. This sounds like a great coffee pot. Right now I am grinding our coffee beans in the morning and use our french press, but it is getting old and a little too much extra work before my eyes are really open. My guys loves our Keurig, and I love freshly ground beans. Sometimes I take the time to grind a couple of cups worth, but it's kind of a hassle; a Grind and Brew might be just the thing to make us both happy! This is probably odd but I don't think I have ever had fresh ground/brewed coffee. At least not that I made myself. And I really love coffee. I think I really need to try it. I love BuyDig.com, they have great products and great prices. I love the built in coffee grinder. There have been so many different flavored coffee beans in stores that i have stayed away from because i dont have a grinder. To be honest im not really sure how to grind coffee. This would be so easy for me to use!! This is a very nice coffee maker.Never had a grinder to make fresh grounds,would be nice.And the size is great! I am 34 and just aquiring a taste for coffee, sweetened of course. I love the features of this coffee maker. I especially love the size. Living in a small home I have limited counter space. The last thing I need is a huge coffee maker and a grinder. I love the coffe maker as i never did grind cofffee in a grinder as i dont have one. I have never ground my own coffee beans. I would be very excited to win this beautiful coffee pot. It's got looks and doesn't appear to be overly complicated….always a plus! What a luxurious appliance to own! I love fresh-ground coffee and would surely enjoy having this in my kitchen for my morning coffee. Satellite 15.6" L55D-A5349 Notebook PC – AMD Quad-Core A8-5545M Accel. Proc. I just love this coffee pot. I like that it has a the automatic grind feature and you can grjndt from 2-12 cups. Buydig is an awesome place to purchase just about anything. The grinder attachment is a definite plus, less time wasted and less chance of spilling your precious coffee grinds. I will keep this one in mind when looking for my next coffee maker. Thanks for the great review. Thanks for this great review! I have always wanted a coffee grinder to grind my own coffee beans, but I never have had one. Now there is a coffee grinder and coffee maker in one appliance–oh, I would so love that. I also like the permanent filter that comes with this coffee maker and the pause button. I don't know that I would use it because my old coffee maker is so slow-it takes about 20-25 minutes to make a pot of coffee and it probably would have the pot made before I knew it. Nonetheless, this is a feature that I would like. I love that it has a grinder and a brewer in one. I love the smell of coffee after it has been grinded. Also, it's great that it is easy to program. I hate machines that are too complicated when all I want is a cup of coffee! This is something I have been looking for. A grind and brew. The only thing I wished it came with is a thermal caraf. Haven't found one g&b that does though. Thanks for your review. I've never owned a coffee maker that was able to grind coffee. This sounds wonderful! I'm sure that overall it would have to be a ton of savings on buying coffee. My current coffee maker is a piece of **** and I'm ready to toss it out the door. The button somehow developed a hole in it and now it requires a butter knife to make it work! Thanks for this review, I think I'm in love!! I love the idea of freshly ground beans each time you make coffee. My husband loves to use coffee beans so I know he would love that the Cuisinart would automatically grind them for him. This looks like a very nice addition to any coffee lover's kitchen! LOL, you had me at "fully automatic"! I would be intimidated too, if I saw that a DVD was included! But you say it's not tough to set up – that's a big plus for me! And who cares if it's a bit noisy? OMG…the convenience of having a grinder built right in……I want this! I need a new coffeemaker. I love all the features on this one. I love that this coffeemaker doesn't take up a lot of space. My kitchen space is very limited! Seems like a great buy! Its awesome that the Cuisinart Grind & Brew has the capability to grind the coffee beans built into it! I also love that it has a reusable filter!! It is really a nice looking coffee pot! Thank you for your great review!! I love the idea of an in machine grinder! I also like that it comes with a gold filter already – definitely a must in my area where our water can change literally change overnight and become "funky". I love the idea of a grind and brew coffee pot. I also have an old pot that doesn't all me to get a cup before the pot is finished. Because I think I should anyway, I end up with burns on the base and coffee all over. Tough to clean and fa too taxing first thing in the morning, a new pot would be perfect. That's the fanciest coffee filter I've ever seen. This is awesome. I often make my coffee too strong and this would take the guess work out of it for me. Plus, I wanted to buy a grinder and really didn't have room for it. This would fix that and make my coffee all the better! I have always heard that the vest coffee is when you grind the beans and them brew it immediately afterward. I was going to buy myself a grinder, but this is even better!! Would love to win this! The first thing I do every morning is turn on the coffee….Can't start the day without it!! I have been looking at this for a while. I like that you can grind your coffee fresh. I have a 10+ year old Gevalia and I find my coffee is often bitter or more bitter than I think it should be. I'm thinking that a machine like this might eliminate some of that bitterness and give me a smoother cup of coffee. Thanks for the review. I just registered for one of these for my wedding! It's great that the coffee pot is made of glass, some other coffee makers had all metal ones and i'd like to see what my coffee looks like while brewing. Weird little things that make me happy. Anyway, it's great that it also grinds your coffee fresh every morning and is programmable, which doesn't waste my time in the morning without compromising quality. I love all the features on this coffee maker and grinder. I like the pause button because I hate to wait on the coffee to finish brewing before I can have a cup. Now, It just so happens that we really need a new Coffeemaker (and one that actually grinds the coffee too is beyond awesome! 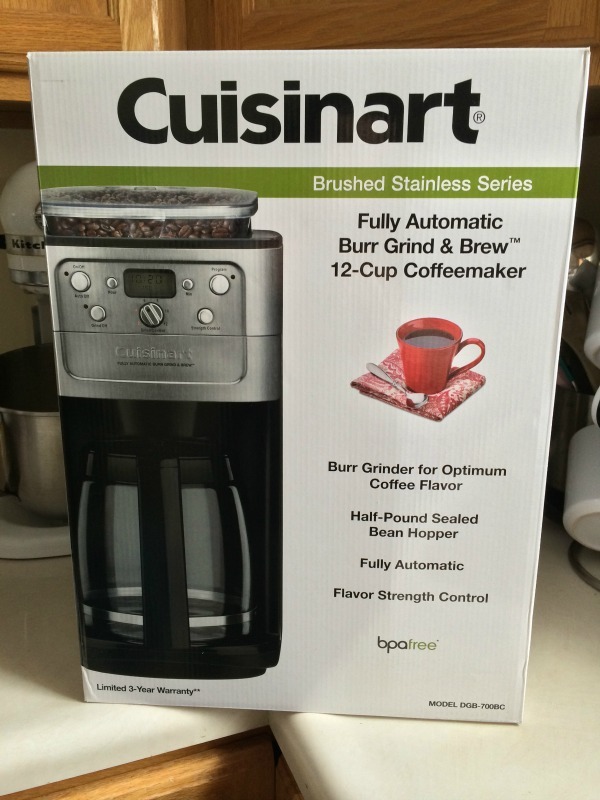 I admit I hadn't really thought of Cuisinsart in terms of coffeemakers – but I do know that one can't go wrong in choosing Any Cuisinart product. Oh and let me add that I am big fan of BUYDIG too – great prices and service too! Wow, I am impressed! A coffee grinder and a coffee maker all in one. Sure would save alot of space and time that is for sure. My husband would love this as he is into all the new technology. I just want a good cup of coffee, regardless of where it comes from! this is a beautiful machine! i would feel so spoiled to drink from it every day =) i bet your kitchen smells amazing when you brew in the morning. i would love to win this as im not in a position to pay that much at this time but believe me, if money was not a problem- i believe it is well worth it also, as i LOVE a good cup of joe! This is such a versatile coffeemaker. I love the big 2 cup size and being able to have the freshest ground coffee! I love that it is multipurpose. It has a very sleek look. I bet the coffee tastes amazing. I would buy one if I could…Instant coffee for me until I can afford a coffee maker. My husband and I dwnsized to a Bodum-style, manual coffee maker many years ago, and every time we visit my Mom's he exclaims how good her Cuisinat coffee is. Now with BuyDig.com we should be able to get a real coffee maker! Your review was very informative and well written. It makes me want to buy one of these coffee machines. I think then i may start drinking coffee everyday! Cuisinart has always made high quality products and this looks like a great grinder/coffeemaker. I like that it comes with a gold filter, too! I am searching out a new coffee pot for my husband for valentines day. I was leaning towards a Keurig hit this one has me intrigued enough to check into it as a possibility instead. This coffee maker is really nice and sleek looking. I like how you can grind the beans and then make your coffee. It looks very good. I would love to be able to grind my coffee right there. I need a new coffee maker, but I can't afford one of these. I looked at these at Christmas and wanted one but didn't get it 🙁 I really hope I win this. Sounds and looks wonderful!! I too need to upgrade my coffee pot. And the pause feature is right up my alley because I am always needing to get my cup before it is done brewing! Thanks for sharing! Cusinart is a very excellent product/brand that produces a great cup of coffee. The ability to grind produces a fresher cup of coffee straight from the coffee bean. Excellent price also. We currently have a Cuisinart Coffee maker and it's the best we've ever had. However, it is getting older, and this machine looks like the cadillac of coffee brewers! We have to grind our beans in a separate grinder. The fact that this machine does that as well is incredible! Thank you for an extremely thorough review! I love the built in grinder. Also I love the fact that it comes with a reusable filter. My husband has always loved Bunn coffee pots which are quite expensive, but this looks and sounds like it would compare quite well. Great review ! What a great machine,I love fresh ground coffee. After reading this review i checked out BUYDIG now a big fan. This coffee pot looks very useful. Thanks for the interesting and informative review!